The Mountain Valley Pipeline will cross underneath the Appalachian National Scenic Trail near this spot. 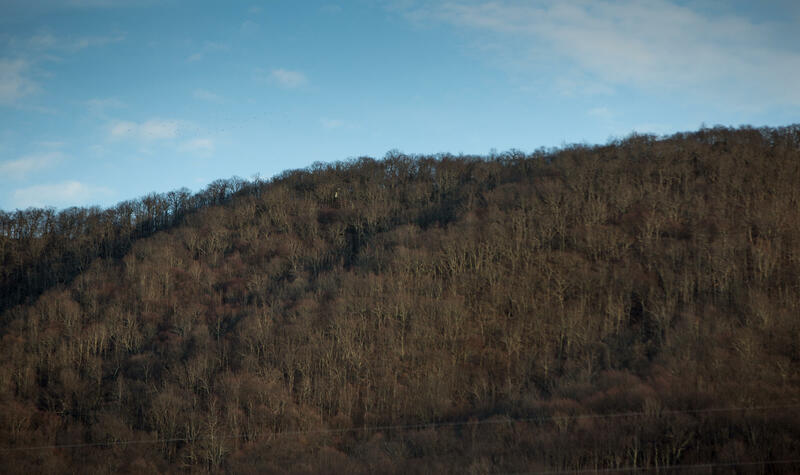 A short walk to either side of the ridge and one would see the pipeline’s survey markers, and on the West Virginia side, there are tree sitters. 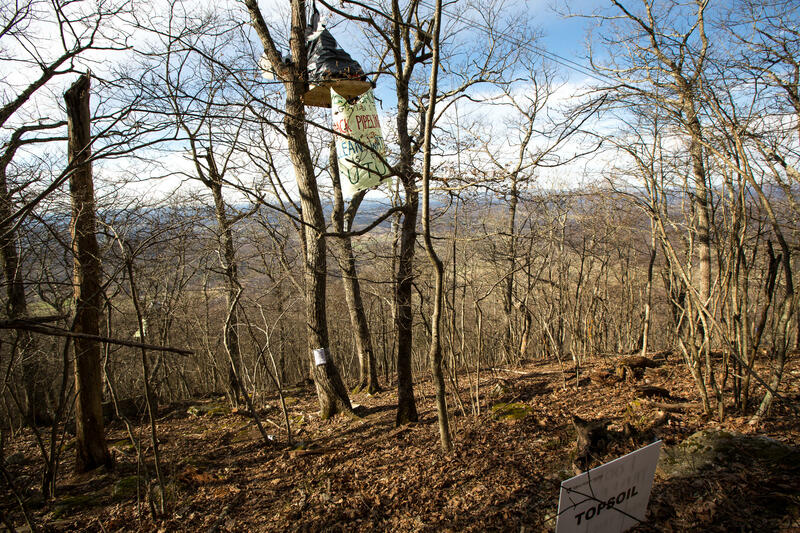 A notice from the Mountain Valley Pipeline is taped to the trunk of one tree. It claims the right to cut trees and build a pipeline and notifies the sitters that court papers have been filed. Two people are named on the notice, along with John Does 1-5. An injunction against the protesters is expected once Mountain Valley Pipeline files some additional documents with the court. Judge Robert Irons ordered another hearing on Tuesday, March 20. The tree sitters with their treetop perch are nearly level with the ridge top. They sit near the site where boring will be used to cross underneath the Appalachian National Scenic Trail. A notice from Mountain Valley Pipeline is taped to the tree trunk. Only a lone attorney, William DePaulo, showed up in Monroe County Court earlier this week for the first hearing related to their cause. DePaulo said it’s a First Amendment issue. “The tree is simply the megaphone,” he said. 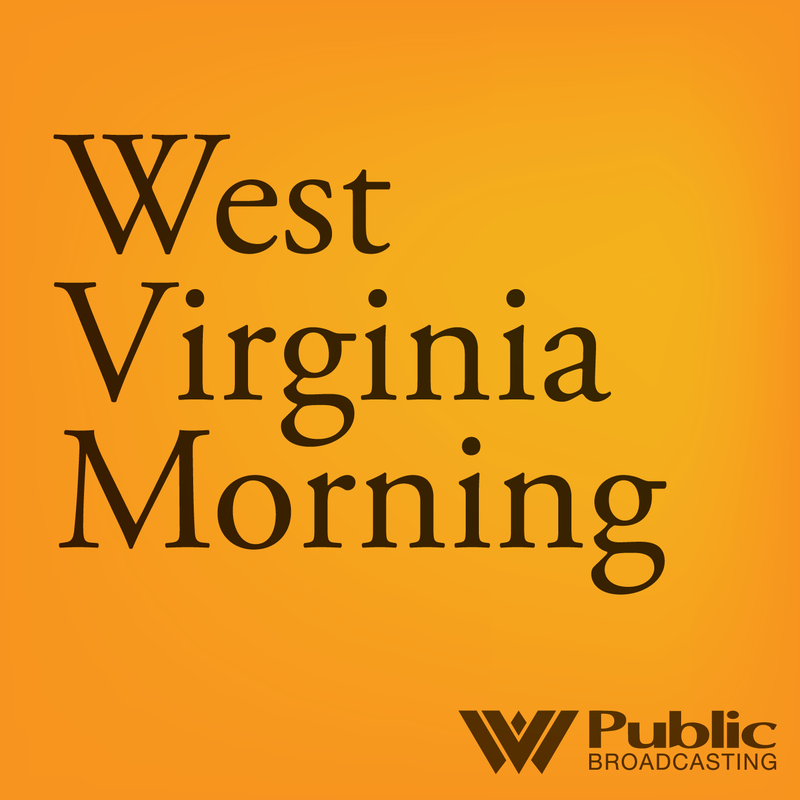 Mountain Valley’s 42-inch-diameter natural gas pipeline was approved by the Federal Energy Regulatory Commission in October. 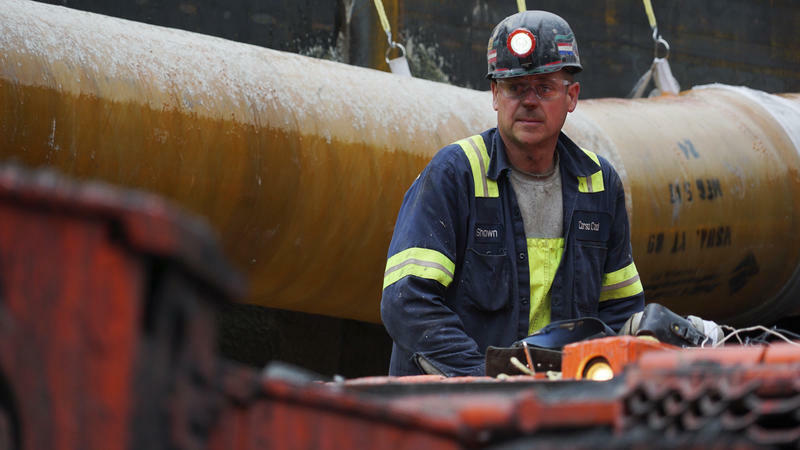 The route starts in northern West Virginia and travels 303 miles to connect with the Transcontinental Pipeline in Virginia. FERC has issued what’s known as a “tolling order” that allows for pipeline construction to continue even though there are multiple lawsuits and appeals questioning the legality, construction practices and purpose of the project. Meanwhile, in Monroe County trees are being cut creating 125-foot wide path up Peters Mountain stopping just short of the tree-sitters. The tree-sitters declined to be interviewed for this story. For now there is snow on the ground. And the protesters have recently posted videos on the Appalachians Against Pipelines Facebook. Monroe County Sheriff Ken Hedrick said earlier this week that how they'll enforce moving them is "kinda up in the air." According the Hedrick his office will not be taking the lead since the tree-sitters are on federal property. "It’s damn cold up there. 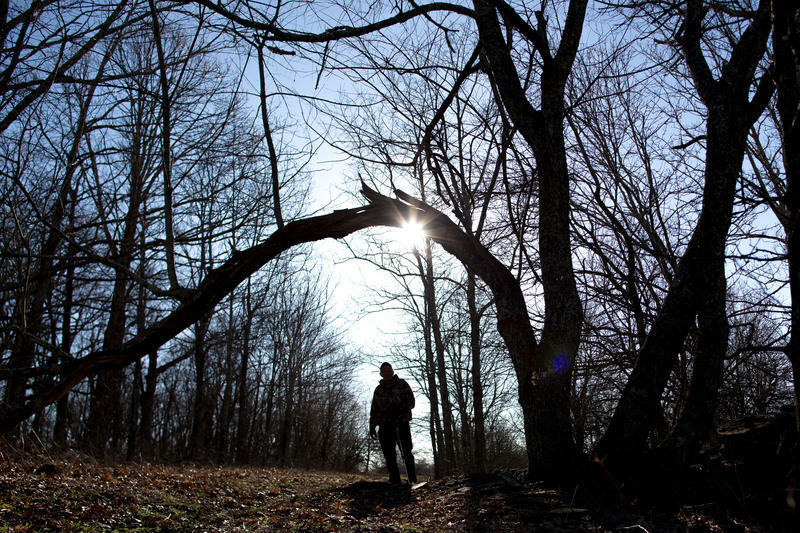 I don’t envy them," he added, "but I do envy them being that close to the Appalachian Trail." National Forest Service Project Manager Jessica Rubado said in an email that the agency doesn’t comment on ongoing investigations, using that language to describe the MVP project protest. “Forest Service law enforcement is conducting frequent wellness checks to monitor the safety of the protesters," she added. The Forest Service has issued a closure order prohibiting access to certain forest roads and areas, specifically prohibiting anyone from coming within 200 feet of the center of the pipeline route. Fines could reach $10,000 and include jail time. Peters Mountain is tall -- more than 4,000 feet at its highest. The Appalachian National Scenic Trail runs along its ridge, that also separates Virginia from West Virginia. It’s a four-hour hike to the top and maybe longer in the winter. So it’s not that easy to get noticed sitting in a tree up there. But word of the pipeline protesters had made it to the valleys below. During lunch at the the Greenville Senior Center retired farmer Otis Pence said he had heard about them. “Somebody's up there sittin’ in a tree. I'm glad it's them instead of me," he said with a laugh. "I read about them yesterday," said home health care worker Petrie Brown, who was sitting across the room. "They're doing this to delay the cutting of the trees for the pipeline,” Brown says. “They'll do anything they can to slow it down and hopefully stop it. But that may not happen. We'd love to have it slowed down, forever." Brown sat eating mashed potatoes and meatloaf with community member Judy Vanek, who echoed her sentiment. “I have heard about them, yes," Vanek said. "I can picture in my mind, people sitting in trees with signs, something about protecting trees and the water and our land." "They're very brave," she added. "And I hope they keep at it. I hope they accomplish something." Farmer Maury Johnson made the trek up the mountain. He noticed some activity, but it was a press release and Facebook that confirmed his findings. Johnson knows Peters Mountain well. “They're some very dedicated and extremely well-fit people to do what they're doing. It’s steep. It's not just high. It's just extremely steep," he said. Down in the valley, Cole and Ivan Reece, two brothers ages 12 and 9, have noticed some lights in the trees at night. Cole can point out the spot that he sees from his backyard. The tree sitters are at the top of the Peters Mountain, near the ridge of the first "hump" to the left. "I usually see about two or three lights," Cole explained. "Sometimes they're brighter or dimmer." Sitting on Peters Mountain about 20 to 30 feet up in the trees, the tree-sitters are about eye level with the Appalachian Trail which is just a few hundred feet away. Everyone described the mountain as cold and windy. “I wouldn't be sleepin' up there in that little shack where there are like 45-mile-an-hour winds,” said the youngest of the two brothers, Ivan. Pence, from the senior center, described himself as neutral, saying that the pipeline has got to go somewhere. "If we need it, we need it," he said. "And if we don't need it, we don't need it, and I don't know whether we do or whether we don't." "I can understand why [the tree sitters are] there. I can understand them. If I was completely against something like that I would go up and sit with them. Well not now, can't get up the tree,” he laughed. "I hope they got something up there to keep them halfway warm. That mountain howls up there. You can hear the wind just roarin' up there on top that mountain. They have to be dedicated to sit there." With the recent snow and storm, farmer Johnson was worried. "I was praying that everybody would stay safe out there because you are literally risking your lives to be on Peters Mountain." He said he admits he admires the sitters too. According to the latest data (2016) from Pipeline and Hazardous Materials Safety Administration there is only 528 feet of natural gas pipeline 42-inches in diameter or larger in the state of West Virginia. Mountain Valley, Atlantic Coast and Rover pipelines have all been approved for construction at that size. Nancy Andrews is a Pittsburgh-based journalist and 2018 Alicia Patterson Foundation fellow studying natural gas pipelines in Appalachia. Follow her on Twitter @NancyAndrews or @NancyAndrews on Instagram.